To mark the annual World Wetlands Day, the Ramsar Convention on Wetlands of International Importance has designated its largest site ever. 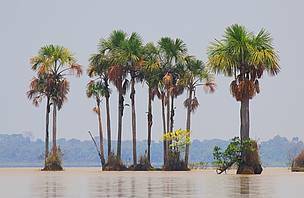 Trinidad, Bolivia — To mark the annual World Wetlands Day, the Ramsar Convention on Wetlands of International Importance has designated its largest site ever. At more than 6.9 million hectares, the Llanos de Moxos wetland is equivalent to the size of the Netherlands and Belgium together. The wetlands are prized for their rich natural diversity, as well as their cultural value. The Llanos de Moxos, located near the borders of Bolivia, Peru and Brazil, consists of tropical savannas with cyclical droughts and floods. These wetlands are especially prized for their rich natural diversity: 131 species of mammals have been identified to date, 568 different birds, 102 reptiles, 62 amphibians, 625 fish and at least 1,000 plant species. Several species – including the giant otter and the Bolivian river dolphin – have been identified as vulnerable, endangered or at critical risk of extinction. The region is traversed by three major rivers, the Beni in the west, the Iténez or Guaporé to the east, and the Mamoré in the central region. These rivers converge to form the Madeira River, the major southern tributary of the Amazon River. The Llanos de Moxos wetlands are important to avoid floods, maintain minimum flows in the rivers during the dry season and regulate the region’s hydrological cycle. The area is sparsely populated, comprising seven indigenous territories and eight protected areas. Peasant communities and private properties also exist in the region, both mainly dedicated to farming. The region was inhabited by pre-Columbian cultures from 800 B.C. to 1200 A.D. These together formed the “Moxos water-based cultures” typified by the clever use of hydraulic infrastructure for water management of the vast territory covered by the llanos, or plains, which sustained intensive agricultural production on which these ancient peoples survived. “We recognize the significant role of these wetlands in the conservation of Mother Earth, as well as the importance of the declaration confirming the Llanos de Moxos as internationally protected wetlands. We are proud to confirm to the world that the government of Bolivia is committed, in collaboration with social actors, to assuming the preservation of these areas as evidence of our efforts to achieve development for all our citizens. This is an important step as we continue to forge a truly harmonious relationship between our peoples and Mother Earth,” stated Juan Pablo Cardozo Arnez, Bolivian Deputy Minister for the Environment. The Convention on Wetlands of International Importance is an intergovernmental treaty, signed by 160 countries in 1971 in the Iranian city of Ramsar. The Ramsar Convention’s mission is the conservation and wise use of wetlands, with the goal of achieving sustainable development. The designation of Llanos de Moxos is the product of a cooperative effort led by the government of of Beni Department, and Bolivia’s Environment and Water Ministry and Vice-Ministry of the Environment. WWF did the technical studies under the Ramsar Convention framework to qualify for designation as a wetland of international importance. 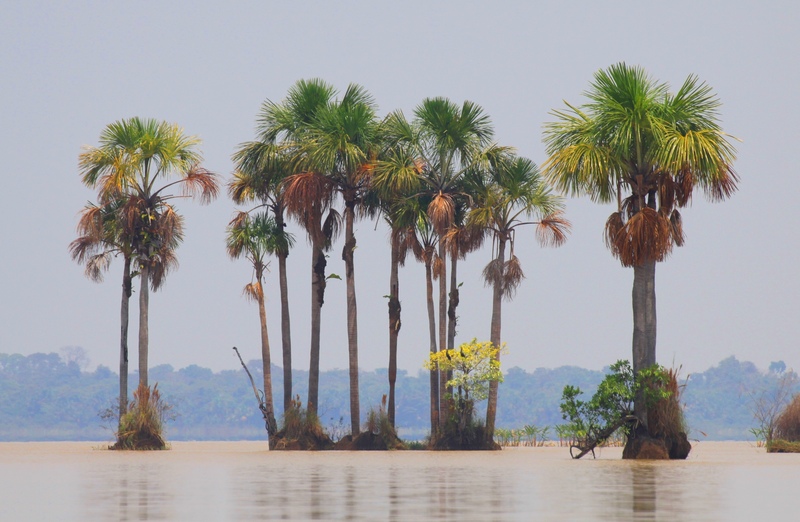 Bolivia acceded to the Ramsar Convention in 1990 and ratified it on 7 May 2002. 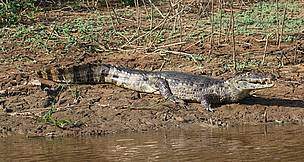 It has eight other Ramsar sites: Los Lípez in south western Potosi Department; Lake Titicaca (La Paz Department), the Taczara basin in Tarija Department, Lakes Poopó and Uru Uru (Oruro Department), the Bolivian Pantanal, the Izozog Marshes and the Parapetí River in Santa Cruz de la Sierra. Palms in Lake Rogaguado, Beni, Bolivia. 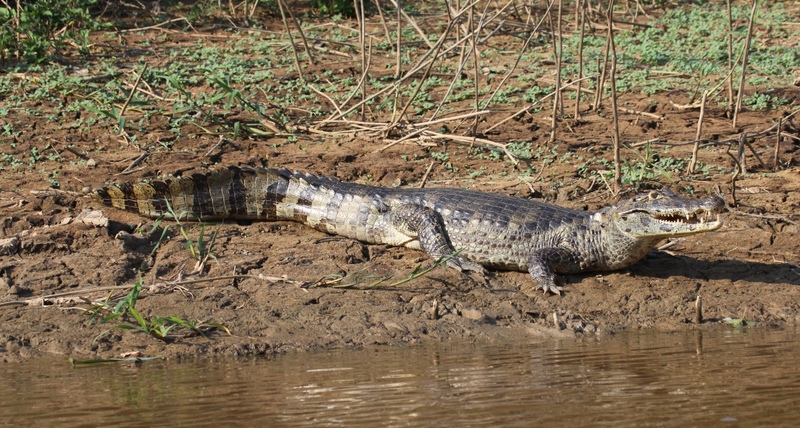 A caiman on the riverbank in the Llanos de Moxos wetlands of Bolivia.